Has America's Fight Against HIV Stalled? WEDNESDAY, July 20, 2016 (HealthDay News) -- The U.S. prescription drug abuse epidemic has increased the risk of HIV outbreaks in rural and suburban communities, where up to now the virus has posed little threat, warns a new case study. 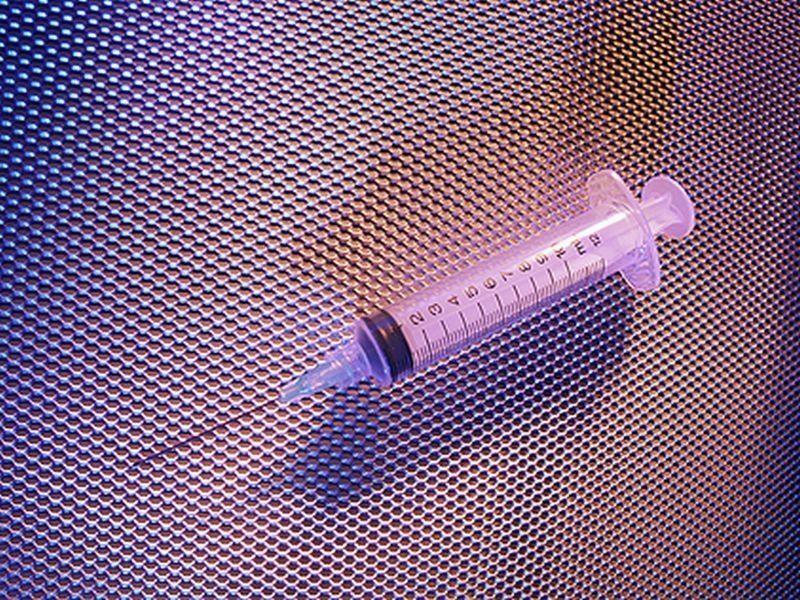 Needle-sharing among prescription drug addicts created an outbreak in rural Scott County, Ind. Public health officials report HIV infected 181 people there between November 2014 and November 2015. "It was the largest outbreak that has occurred in the U.S. since the introduction of HIV treatment," said lead author Dr. Philip Peters, a medical officer with the Division of HIV/AIDS Prevention at the U.S. Centers for Disease Control and Prevention. "And it occurred in a poor and rural community. We have not seen HIV outbreaks in these types of communities before." Many of the infected people had crushed and cooked down the extended-release form of the opioid pain pill oxymorphone (Opana ER). The result was an injectable slurry, which increased potency and dodged drug-making technologies intended to prevent abuse, Peters said. But the dose created by this process proved too powerful. "The amount of opiates in one crushed pill that has been cooked into a drug slurry is more than one person could shoot," Peters said. "It naturally led to sharing the same drug slurry among multiple people." More frequent needle-sharing was related to a higher risk of infection with HIV, the AIDS-causing virus, the study authors said. "This particular community is rural and also very poor, and there wasn't really any access to clean syringes," Peters continued. "If persons started to inject drugs, they didn't have many options other than to share syringes. That is probably a factor that caused such rapid transmission of HIV." The case report appears in the July 21 issue of the New England Journal of Medicine. Moving on to an injectable slurry is a "natural progression of use" for people who are hooked on opiates, said Emily Feinstein, director of health law and policy with the U.S. National Center on Addiction and Substance Abuse. "Injection happens usually after a person has been using long enough and their tolerance goes up," Feinstein said. "They need to switch their method of administering the drug in order to get a higher dose and get a bigger high." A 2015 CDC study on syringe service programs found that rural drug users are more likely to cook prescription opioids and inject them than city dwellers. About 25 percent of rural drug users injected prescription painkillers, as opposed to 13 percent of suburban users and 15 percent of urban users. Areas like rural Scott County often have little in the way of public health services, including addiction treatment and HIV prevention programs, said Lindsey Vuolo, associate director of health law and policy for the U.S. National Center on Addiction and Substance Abuse. This leaves rural communities particularly vulnerable to an HIV outbreak caused by prescription drug abuse, she said. "There's little there to treat the addiction, and then to prevent the other health care issues that can come along with addiction, HIV being one of them," Vuolo said. As a result of the HIV outbreak, Indiana Gov. Mike Pence -- now the Republican vice presidential candidate -- declared a public health emergency on March 26, 2015, the case study noted. Indiana established its first syringe service program, providing clean needles, testing for diseases like HIV and hepatitis C, and rapidly expanded access to substance abuse treatment services, the study authors said. It helped that in January 2015 -- near the height of the outbreak -- Indiana joined the growing ranks of states that chose to expand their Medicaid programs under the federal Affordable Care Act. That move greatly increased addicts' access to health insurance and played a critical role in curbing the HIV outbreak, Vuolo said. "Such a quick response may not have been possible in states that have not expanded Medicaid," she said. Rural and suburban public health officials need to be prepared for future outbreaks, particularly those facing a wave of prescription drug abuse in their area, Peters said. "This outbreak was large and it was unexpected and it happened in one particular rural community, but there are many communities at risk for a similar type problem," he said. "We need to be proactive to make sure that doesn't happen." What is HIV versus AIDS? Discover myths and facts about living with HIV/AIDS. Learn about HIV and AIDS treatment options, symptoms, and diagnosis.